Health Food Mart, Inc. of Medford, OR was established in 1978 and has been serving the Rogue Valley with quality supplements, vitamins, bulk organic herbs, spices, teas, seeds and nuts, consistently and with the highest quality available. Recently acquired by Greg & Heather Askins, Health Food Mart, Inc. of Medford, OR remains committed to the health and well-being of our customers. 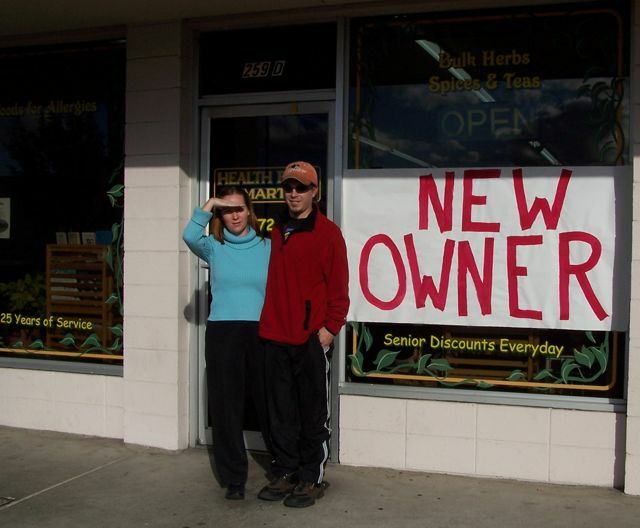 The new owners, who are both Gluten-Intolerant, plan to increase the number of specialty food products to cater to the growing demand for Local Organic, Raw and Whole Foods, as well as Hypo-allergenic, Gluten-Free and Non-GMO. Also expanding will be the Organic and Sulphite Free Wine Section, and we are proud to introduce Gluten-Free Beer to our coolers, from Bard's Tale (Dragon's Gold) and Green's (Endeavor, Quest, Discovery). Feel free to drop into the store, located in the Winco Plaza near the South Medford I-5 Exit #27 Interchange.